The Taiwanese American Film Festival is finally back for a second round and will return to the beautiful Downtown Independent in DTLA. 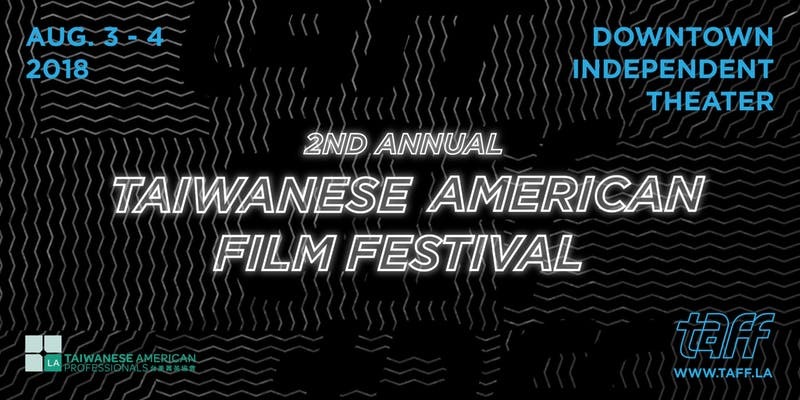 Established by Taiwanese American Professionals of Los Angeles – This intimate festival will celebrate 12 amazing shorts and 2 fantastic features by up and coming Taiwanese and Taiwanese American makers. This year TAFF will be bringing Taiwan’s famous NIGHT MARKETS to Los Angeles, presenting film blocks: 吃，喝，玩，樂 (EAT, DRINK, PLAY, FUN) and a variety of night market themed foods and drinks at the parties. Indulge in the Festival’s highlights including — a panel discussion with industry professionals; as well as an Awards Ceremony followed by an afterparty with a variety of our night market themed food and drink vendors plus music attractions. It will truly be an event to remember — Come join us and lets celebrate the finest of tomorrow’s storytellers together!